Our local newspaper, SFGate.com recently ran a story about our Christian Science Reading Room located in the San Francisco Airport. Check it out! For 57 years, there’s been a Christian Science Reading Room at San Francisco International Airport. It’s open 8 a.m. to 10 p.m., every day of the year in Terminal 1, near the Delta ticket counter. Barbara Brown, a former actress, singer and dancer, is the on-site manager. 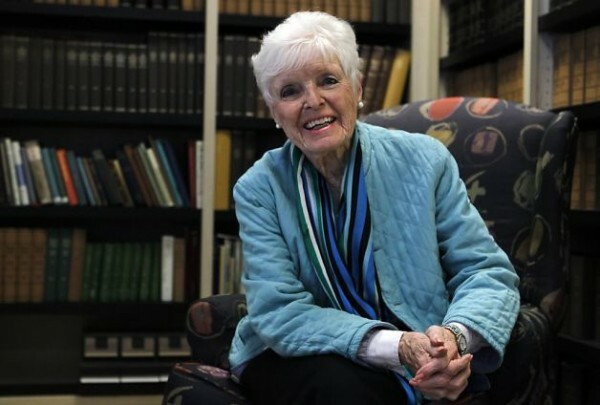 An Evanston, Ill., native, she moved to California in 1960, raised four children and sold real estate after her divorce. She lives in Palo Alto and has six grandchildren.